With 5 kids its really hard to find the time to teach them how to ride a bike, but Kinderfeets has made it a little easier on my younger ones. Kinderfeets is a bike which has no pedals it works all on balance which is the key skill needed to learning how to ride a bike. The Kinderfeets Chalkboard Balance Bike is amazing, it comes in 6 colors which can be colored on with chalk making for your own personal touch. The Kinderfeets works like a scooter only your teaching your child how to sit rather than stand. The tires on the Kinderfeets do not require air which I find myself putting in my sons bikes often. The seat has a removeable, washable seat cover which is a big deal when dealing with children. I love this bike. It is small which is great because I can take it with me to the park and while older kids play I work with my younger ones on the Kinderfeets which Elizabeth the 4 year old is very close. I love that its closer to the ground so my child is not freaking out about falling, it also does have a spot which kids can place feet so they can get a feel for what it would be like to be on a bike. 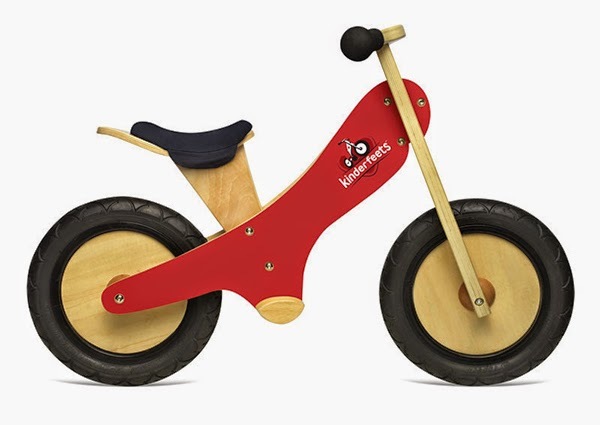 The Kinderfeets Chalkboard Balance Bike is for ages 2 and up and can hold a weight up to 65lbs. The Kinderfeets Chalkboard Balance Bike has become a great tool in teaching my kids balance and made it so my younger ones will soon be riding along side their older brothers. 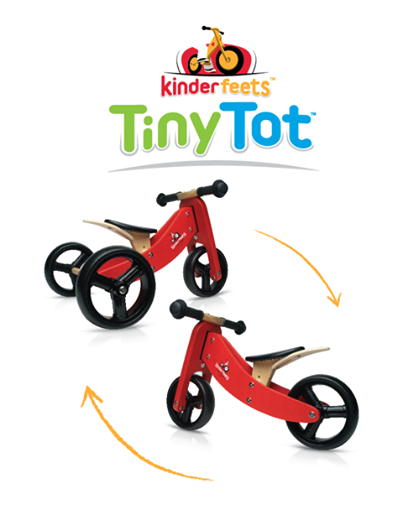 You can check out the whole line of Kinderfeets Chalkboard Balance Bike's by clicking here. Kinderfeets makes long lasting products which are sure to bring joy to your child.